I grew up in and around Washington, DC, before moving to New England for my undergraduate education at Wesleyan University and subsequent theological studies at Yale Divinity School and Harvard University. 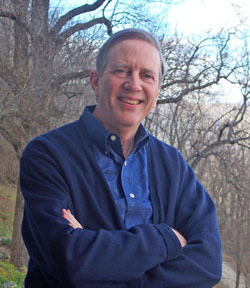 I then taught in the field of Christian social ethics for over thirty years, first at St. Francis Seminary, Milwaukee, then in Atlanta at Emory’s Candler School of Theology, and finally in the Boston area at Andover Newton Theological School before retiring in 2001. Over the years, sabbaticals took me to Germany, Switzerland, India, and South Africa. My publications – in English and German — focused on church and society issues involving family, economics, ecology, politics, symbolism, and law. 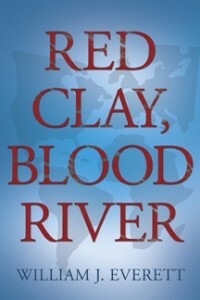 After seven books and some fifty articles I felt a deep need to turn to fiction writing and poetry, leading to the publication in 2008 of Red Clay, Blood River, a story told by Earth of connections between America’s Trail of Tears and South Africa’s Great Trek. The poetic impulse in the novel led to more intensive work in poetry and the appearance in 2013 of my first collection, Turnings: Poems of Transformation. 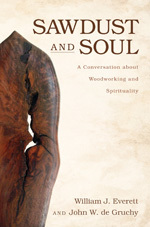 In 2015 John de Gruchy and I wrote a book of reflections on woodworking and Spirituality entitled Sawdust and Soul. I am presently working on a project to publish photographs and documents relating to my grandfather’s mining work on Cyprus in the 1920s. My wife Sylvia and I now live in the Smoky Mountains of western North Carolina, a region rich in history, writing, woodworking and the arts. In the past eight years I have built a number of round communion tables and other worship furniture. 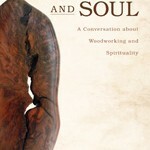 For more about my woodworking as well as Sylvia’s art, visit our website at www.WisdomsTable.net.